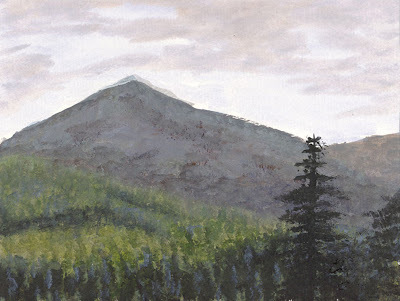 An acrylic on paper painting, done in a watercolor style; it is called Tribute to Winslow Homer because it is based on his painting, Burnt Mountain but is actually Galdee Mountain in Tillamook County. A print is available here: The Roadside Artist Oregon Gallery. I'm reading: Galdee Mtn. Oregon Tribute to Winslow HomerTweet this!